Contract Details: 1 year initial contract. Signed 1 year extension on 15/5/13. 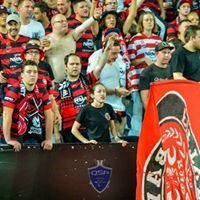 Rejoined WSW 19/5/2016 on 1 year contract. Signed 1 year extension 8/5/2017. Highlight: Tyson made his debut by keeping a clean sheet against Perth Glory, and followed with another clean sheet in his Asian Champions League debut against Guizhou Renhe. 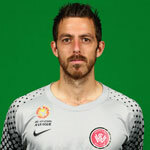 Description: Ex-Gold Coast United keeper who moved to the Wanderers as a backup to Ante Covic. Tyson impressed the club enough to earn a second season. After his release in 2014, he moved to Hong Kong and then to Perth Glory, before making a surprise return to the Wanderers in 2016, earning himself a 1 year contract extension. Season 2017/18 was plagued by injuries and the inability to unseat Vedran Janjetovic from the starting lineup, and Tyson left the club at the end of the season. needs to learn to be not be so flat footed!! is he possibly the only player in the league from Tasmania? agree 100%, but he had some moments at GCU. i think he hesitates a bit, which may lead to the flat feet. hopefully popa and Co. can weed/beat this outta him, he could become a top notch custodian. He's a great reserve keeper to have for our first season. I reckon he'll be pushing Covic by the season's end!?!? He'll be constently looking over his shoulder all season, hoping that he can do enough to maintain his role as our No.2 custodian. Our first choice youth team keeper will be applying heaps of pressure on him by the end of season 2012 / 2013. 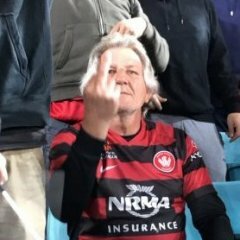 I would find it impossible to offer an objective opinion, if I were not attending Wanderers training sessions and or trial matches on a regular basis. I agree man, like seriously. Newcastle was a case in point. Parra FC was another instance of Tyson being caught flat footed although the deflected goal was eventually ruled out through a fortunate offside decision. Just my opinion but I see many custodians of equal or better ability playing park football, week in week out. He is the Only Tasmanian in any Aleague top flight team Yes. He'll make it trust me.. He reminds me of Gomez Addams from the 1960's Television show the Addams family. He's a top bloke. Has his own Facebook like page and it's clear he is a real character! He's been messaging me about getting a set of Golf clubs. I'd be happy to give him a big Wanderers discount! The guy's a legend. If we've cemented a position in the ladder before our final game is played he should definitely be allowed a start. The RBB would go mental if he did. 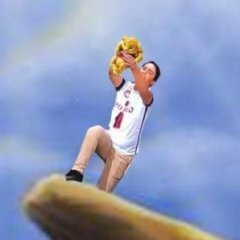 I'm waiting for Covic to get red carded. Can you imagine? Biggest cheer for a keeper being sent off ever! is there anything in the rules which says we cant play 2 keepers at the same time? Both as goalkeepers? Pretty sure FIFA thought of that one. Hahahaha all gold you funny ****s! Does sarcasm work in chants?